…Every millisecond of your pain…..your misery….in the path of obedience is producing a peculiar glory you will get because of that. I don’t care if it was cancer or criticism. I don’t care if it was slander or sickness. It wasn’t meaningless. IT’S DOING SOMETHING. IT’S NOT MEANINGLESS. Of course you can’t see what it’s doing. Don’t look to what is seen…..It’s working for you an eternal weight of Glory. Therefore. Therefore do not lose heart!…..
…gearing up for St. Jude. Lord, prepare our hearts for the family we will make there. Prepare our hearts for all of the aching parents we will meet there. Make us brave. This is a fair warning to all you readers…this blog just got real personal & vulnerable real fast. What was initially meant to primarily be a blog to promote my handmade business with tidbits of our life has quickly become a means to update everyone following along with our journey after being told yesterday that our youngest daughter, Willa(2 months), has Retinoblastoma (eye cancer of the retina). This is also the easiest way for me to document this season to look back on and show Willa how strong she was and how much the Lord used her to sanctify us all and make us more like Him. We had noticed from very early on that Willa’s eyes weren’t focusing together as they should. I called them “wonky” eyes because one was always wandering off to the outside. We thought she would be diagnosed with strabismus and after eye-patching or glasses her eyes would be totally normal. We got a referral from our Pediatrician and great family friend, Dr. Gill, to go see Johnson City’s only Pediatric Ophthalmologist, Dr Carlson. But, our appointment wasn’t scheduled until the end of March. In the meantime, I began to notice that her right pupil had an odd color to it that I couldn’t even really describe. It was just an unsettling feeling of something not being quite right. Yesterday, by providential events, we were able to get Willa in to see Dr. Carlson. 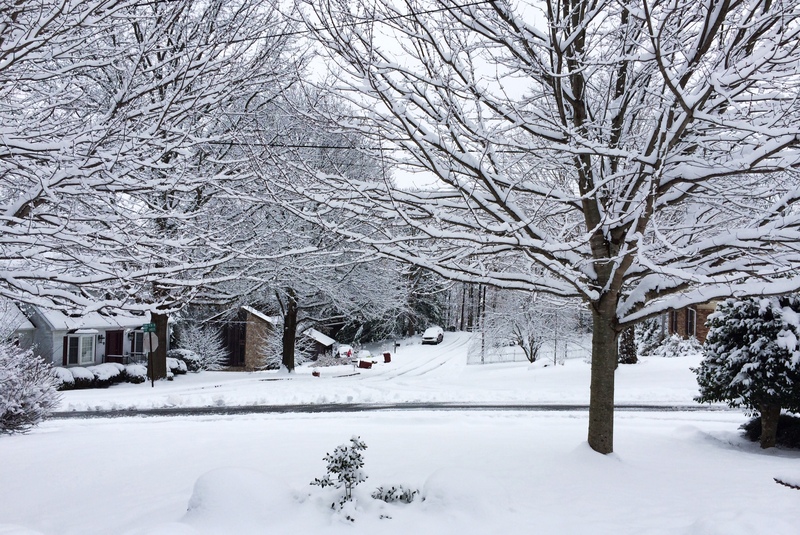 Thank you Lord for snow storms and cancelled appointments. At that appointment, Dr. Carlson found that Willa’s left eye was perfect, however, the retina was detached in her right eye and she had no sight in that eye. He told us that with multiple surgeries and treatments, she would possibly be able to see with her right eye. Or, there was a chance that she would be blind in that eye indefinitely. We needed to find out the cause of the detached retina, so he referred us to the Med Center for a CT Scan. The CT Scan was very hard to experience. 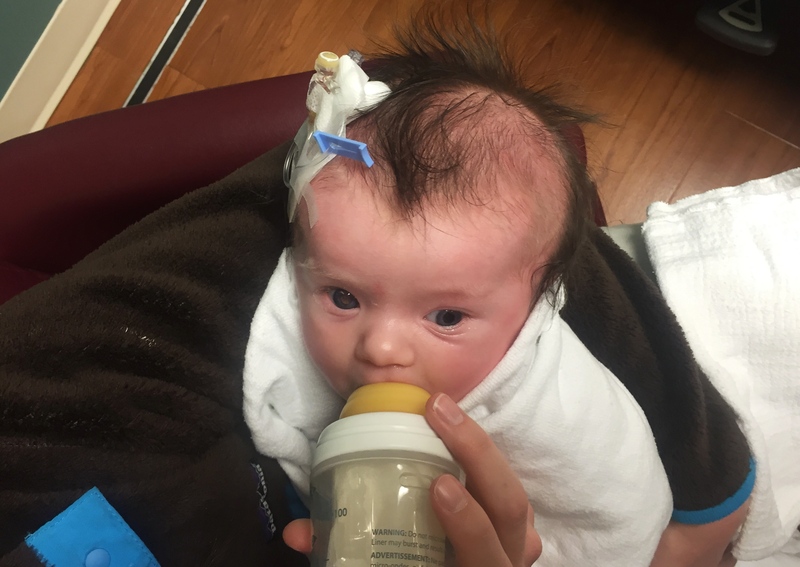 The nurses couldn’t find any good veins, so an IV was inserted into a vein in her scalp. As you can imagine, that’s a lot to endure for a 2 month old. Willa before her CT Scan with IV. You can see the odd coloring of her right pupil-the affected eye. They bundled her up under lots of warm blankets, strapped her to the table and then I stepped out….just in case I was miraculously pregnant. Being in the hallway and hearing her cry left me feeling completely hopeless as a mama bear. But, we survived it. And after waiting for about an hour a lifetime we still didn’t have results. We were sent home and weren’t sure when we would hear something. Later that night, as I was feeding Johnnie June goldfish and blackberries, Chris Gill and Dr. Gill walked through the door and my heart sank. I think I remember Chris saying “It isn’t good Steve”. And then I grabbed Willa and lost it. Retinoblastoma occurs in about 1 out of every 20,000 children. It’s a rare from of cancer, but it is the most common form of eye cancer in children. The tumor in Willa’s eye has begun to cause enough pressure to detach the retina. She will more than likely lose her right eye to get rid of the tumor and might need chemotherapy and radiation treatment as well. Dr. Cook at Nisewonger is incredible and I feel a lot more empowered for the trip ahead after meeting with her. We are headed to St. Jude’s in Memphis on Sunday to arrive no later than Monday evening. Willa will be seeing a world renowned retinoblastoma specialist and surgeon, Dr. Matthew Wilson. Today at the Med Center, it felt bizarre and surreal to pull up right next door to the Birthing Center where Willa was brought into this world. So many people commented on how beautiful she is and how much hair she had and I wanted to scream “She has cancer!!!! !” I’ve screamed it over and over in my head countless times already. One of the hardest things to think about as we prepare to leave for Memphis is leaving Finn and Johnnie behind. We might be there as little as two weeks, but more than likely longer. I’m watching Johnnie prance around the living room with her juice tucked up under her arm as I’m typing this. I don’t want to leave. I don’t want to endure this. I don’t want to see her in pain again. I don’t want my daughter to lose her eye and grow up with self-image issues just like every girl, but with the added hurdle of having only one eye. I don’t want to await more results after Willa’s MRI on Thursday. 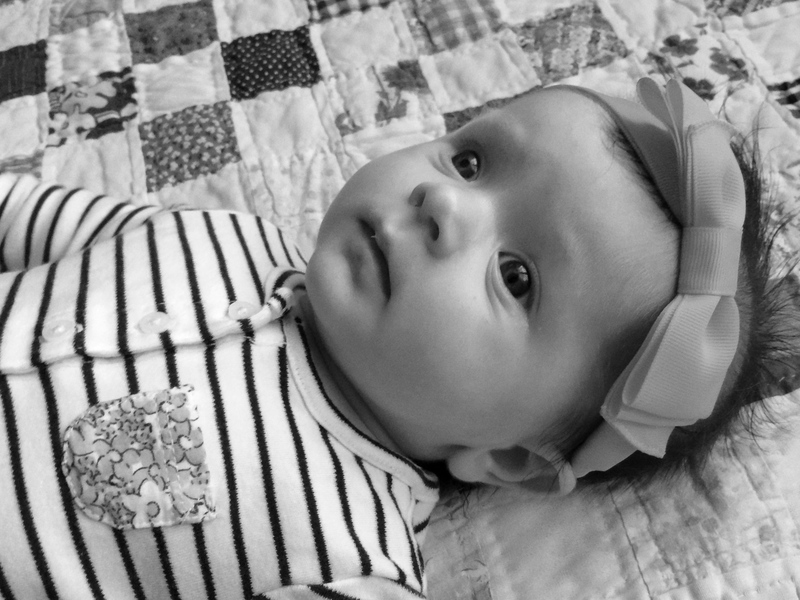 I don’t want to admit that my baby daughter has cancer. CANCER. In my honest and real and selfish heart, I don’t want any of this. But, we have been called to endure this. And we are not alone. There are moments for each of us that God designs to stretch our faith and further His kingdom and this is definitely one of those for not just me and Steven, but all of us. Reality is reality and I can either press ahead with my fists closed tightly, or with hands open. While I was trying to create a name for my (at the time inexistent) business, I was pregnant and anticipating the arrival of our son, the boy who would make me a mother. At that time, I had began reading through Proverbs, and these words stuck out to me as a daughter and a soon-to-be momma. Not only that, but “garland and pendant” sounded pretty good together too. Win! The words of my business name are reminders of the responsibility I have as a mother. To teach and instruct. To be a constant source of grace and mercy. I am, at the same time, encouraged by this scripture in hearing that me and Steven’s instruction and teaching to our children is comparable to adornments of grace. Really? ….sounds like the most important job in the world when held in that regard. And let’s be honest, while finding myself in mundane situations like changing diapers or burping babies, I don’t often feel like my job as a mom really means much to anyone. Especially when I start comparing how I’m doing to another mother. So, my being a mom won’t ever land me an interview on the Today Show, but Scripture sure as heck has a lot to say about the importance of doing my best(and clinging to grace in my worst) in helping to rear three tiny souls. Also, this Proverb reminds me that as a daughter and disciple, my obedience to God renders me more lovely and amiable than any beautiful piece of jewelry or accessory could. Do you have an a business? What name did you go with and why? This is the third wall hanging I’ve created. Soon to be hanging in a sweet baby girl’s nursery. Don’t get me wrong, embroidery is still a lovely pastime and I plan on racing back and forth between the two, but OMG WEAVING. It is all I want to do right now. SO therapeutic and SO many options! I love the use of color and texture. I love that I have a reason to go to Purl Soho in my dreams the future even though I don’t knit! I love how the sky really is the limit with weaving….there are no rules and so much freedom to express different styles. 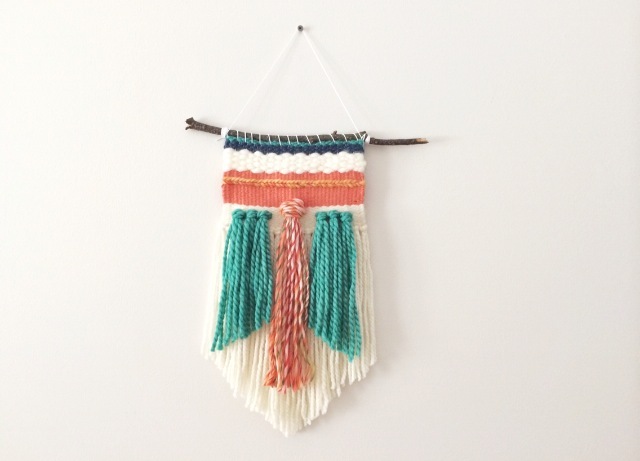 I cannot wait to offer these woven wall hangings along with embroidered hoops when I reopen shop in a handful of weeks. I still have a lot to learn, still don’t feel confident to do much more than horizontal lines, and still get frustrated when I don’t get it right the first time. There are some awesome tutorials out there that have helped me out immensely if you’re wanting to start yourself. I purchased my frame loom from Loom & Spindle in Australia. They also have amazing tutorials to get you started. My loom came with a few tools and a short weaving guide. 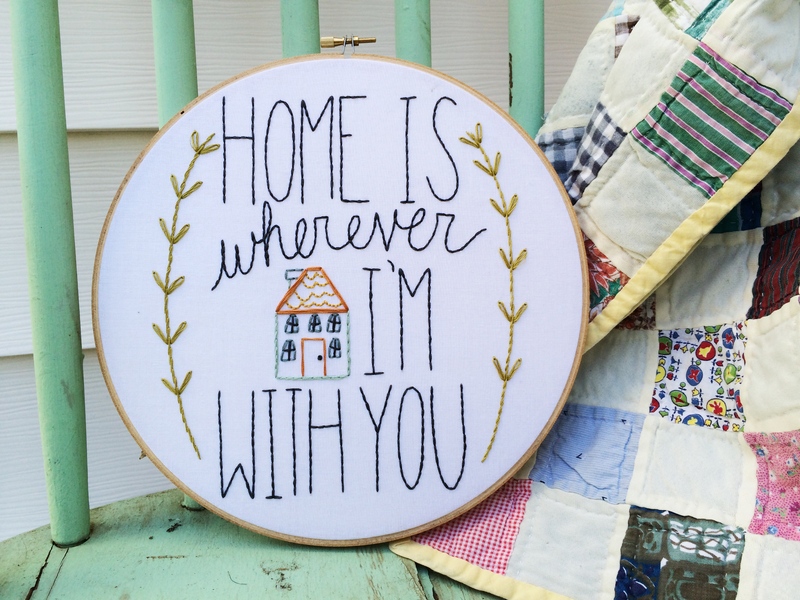 I used this weaving class from A Beautiful Mess as well as this awesome post from Honestly WTF to get rolling. 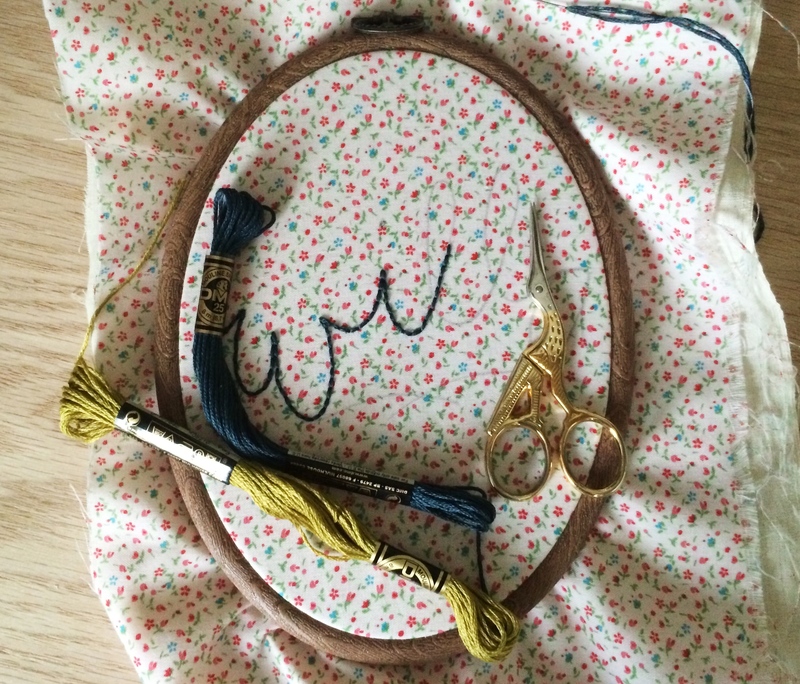 I’m sure there are countless other helpful tools out there to learn this super fun trade, but I’m still a newbie and still tied to learning only during nap time or when my husband doesn’t mind me drifting off into weaving space while we binge watch The Office. Try it. You’ll love it. I promise. It’s like those braided friendship bracelets in elementary school that you couldn’t get enough of!